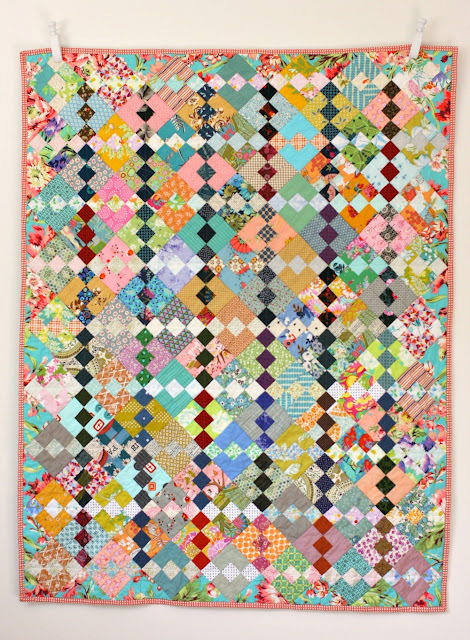 A kaleidoscope quilt! This has been on my list of quilts to make for a long time. 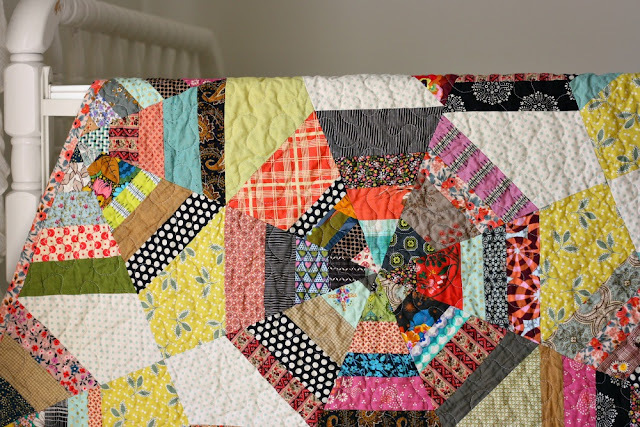 Now, this pattern can make quilts that look very different from each other. The biggest thing to look at is value placement. 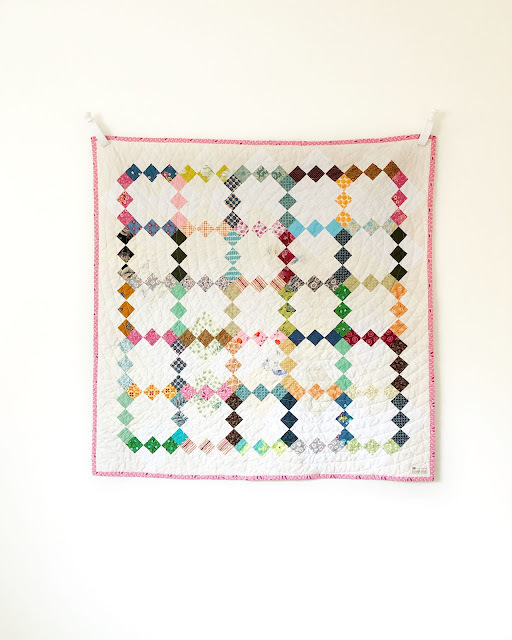 I studied a lot of these quilts to figure out exactly how to make it look the way I wanted. This is a very simple block, as you can see by my little drawing above. To give it those larger grand looking circles which you see when you step back, you have to alternate the values in the blocks. By looking at my sketch above, you should be able to understand how to sort out the values. The most important thing is that ALL the little corner triangles, and the large triangles in Block #2 that are connected to them, are the lightest value. The rest of the pieces can be a mix of medium to dark value, and even a few lights thrown in.